Today’s world seems to have become ultra-competitive…from the time one joins little league until job application time, everyone is looking for that special something that sets them apart from the others. Perhaps no trait is more valuable than leadership, and summer camp is a great opportunity for young men and women to develop and practice their leadership skills. At Laurel South, our campers look forward to finally being in 7th Grade so they can be in Rangeley (boys) or Katahdin (girls). And, by the way, being able to now opt out of instructional swim is not the main reason. These older campers become Camp Big Brothers and Camp Big Sisters for our younger campers. They take great pride in educating our younger campers about the traditions that make Laurel South our summer home. Our 9th Grade campers run camp for 2 days during Spirit Days! At the end of the summer, our 9th Graders meet with the 8th Graders and explain the importance of having CIT leaders that the rest of the campers can look up to and emulate in the future. It’s this sense of accomplishment and pride that drives so many to return as staff members! So, yes, camp is fun. Camp allows us to unplug, enjoy nature and build lifelong friendships. But camp also develops leadership qualities that will benefit campers for a lifetime. This entry was posted in Uncategorized and tagged benefits of camp, camp community, camp counselors, camp friends, summer camp, value of summer camp on March 21, 2019 by Camp Laurel South. You leave behind your comfortable life and embrace a new routine in a new environment. You hop off a plane into a situation you know very little about. It can be overwhelming at first. But, before you know it, life at Laurel South quickly becomes a little slice of heaven. The people who started as strangers become your best friends and you walk away having made a difference. Becoming a camp counselor is one of the most beneficial and life-changing career choices a young adult can make. Working at a summer camp teaches you how to adapt to new environments, people and challenges. It teaches you to embrace the simple things in life; to unplug from the outside world and live in the moment. It’s easy to get stuck in your personal routine, but continued growth is important in every aspect of our life. Where you’re uncomfortable is where you grow the most and part of growing as an individual is to accept that life is forever changing. We should strive to live the width of our life and not just the length of it. To be successful, you must learn how to develop with that change. Being at camp encourages you to step away from technology and social media. The camp culture exemplifies how to enjoy the present experience and to appreciate the beauty of nature and friendships you make along the way. We have an instinct to look at our phone, texts, Snapchats, Instagram etc. Working at camp helps you develop the habits of “hellos” and high-fives. Instead of staring at your phone, you look up more and when the summer ends, you have an appreciation of being away from it all. Being a camp counselor is the toughest job you’ll ever love. The hard work comes with an unbelievable pay off. A reward that is indescribable. The friendships and memories you make will last a lifetime. Spending the summer months in a place that allows you to wear silly costumes, dance to fun music and laugh a lot is awesome. It will positively change you as a person in ways you never thought possible. This entry was posted in Uncategorized and tagged benefits of camp, camp counselor, camp counselor skills, camp counselors, camp jobs, sleepaway camp, summer camp, summer camp jobs on October 3, 2018 by Camp Laurel South. What a beautiful day in the state of Maine today! Today is our annual Moose Stomp Day. Programs are being created, S’mores being eaten, pictures taken for the end-of-year face books, bumper tubes ridden, and so much more. By tomorrow, our campers will be in their first “A” Day, schedules in hand, heading down to the Crescent Lake, out to the ballfields, into the theater and up to the stables. We may have just arrived yesterday, but we’re already having a blast! We’re so happy to be home. This entry was posted in Uncategorized and tagged 4-week camp, America's finest summer camps, camp, camp counselors, camp traditions, Campfire, hugs, Maine, sleepaway camp, summer camp on June 22, 2018 by Camp Laurel South. Yesterday was our final “S” Day of the summer, and everyone had an amazing time at Funtown USA!!! We enjoyed the rides, the games and, of course, the fun and the food! What we enjoyed most was the time we all had, the entire camp family, laughing and sharing an awesome day. Today began our final two program days of the session. Each activity area will hum with culminating programs and events. We’re psyched for tonight’s performance of Shrek the Musical in the Laurel South theater. Our campers worked hard to prepare all summer and this show promises to be one for the ages! Tomorrow night we will have our Final Banquet. Campers and staff will feast on lobster, steak, clam chowder and vegetarian lasagna while reminiscing about the summer gone by. Monday is Departure Day, and while we’re sad to see the session come to an end, we choose to look at the positive…we are one day closer to the start of the 2017!! 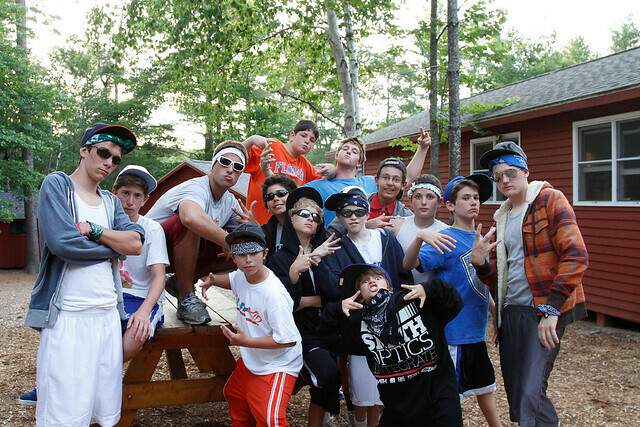 Our CIT’s will be greatly missed — they were an amazing group. Every summer is special in its own way, and the 2016 one has been no exception. The laughter of the campers, the bonds formed between staff and campers, and the feeling of Ohana lets us know we’re so lucky to be here together each and every summer. Oh what a beautiful day in the state of Maine!!! This entry was posted in Uncategorized and tagged Camp Bonds, camp counselors, camp friends, camp laurel south, First Session, Maine, summer camp on July 15, 2016 by Camp Laurel South. Counselors, It’s Time to Pack! You’ve scored an amazing summer job at a sleepaway camp and the summer is so close that you can practically taste the s’mores, smell the camp air and hear your campers laughing. But before you can head off for the summer of your life, you have to pack. Packing can be a daunting task for first time camp staff. Even if your camp supplies a packing list, it’s hard to determine what you may be able to leave behind, if packing space is at a premium, and what you absolutely must have. Here is a brief rundown of those items that camp staff traditionally believe are essential. If you pack these items, you are in good shape…. You’re working at a summer camp, and “outdoors” is an operative word in your upcoming summer. In fact, you’ll spend the majority of your day outside. Applying sunscreen often and generously insures that you do not find yourself very red and uncomfortable at the end of a sunny day and protects your skin from the potential long term effects of the sun’s rays. Heat plus a lot of activity equals the need to stay hydrated. Whether or not your camp provides water, it’s a good idea to take a water bottle that can be refilled several times throughout the day. It’s also environmentally friendly by reducing the use of disposable cups. Athletic shoes are essential. Multiple pairs, if you have them, are ideal. Most traditional sports oriented camps do not allow staff to wear flip-flops or open toed shoes for activities that are not water related. It’s simply unsafe in an athletic environment. So one or two pairs for water-related activities and days off are sufficient. A pair of rain boots or galoshes is always a good idea. These activities help facilitate communication with campers, and are so much fun while in the bunk or cabin during resting periods or rainy days. Some items are not allowed in bunks or cabins, however, so be sure you check with your camp to make sure that games and other activity items are permitted. Some camps provide bedding. Other camps require staff members to bring their own bedding. If your camp requires you to bring bedding, it is a good idea to bring a thick blanket or comforter in addition to a thin one. Yes, it’s summer. But most camps are in rural mountainous regions, and it sometimes gets cool at night, especially at the very beginning and toward the end of the summer. A saying is among camp staff who return year after year, you can never have too many of either! Athletic type shorts and pants are best for moving through daily activities, but it ultimately comes down to whatever you feel the most comfortable wearing. Again, yes it’s summer, but the evenings can get a bit chilly. Camps often divide staff and campers into teams for activities by colors. So it’s a good idea to pack a rainbow of colors so that you are prepared to show team spirit when the time comes. You just never know at summer camp. A couple of pairs are a good idea. There is a lot of movement at camp, and sunglasses are an item that is commonly lost, forgotten or broken. Ask yourself, what will you be doing at camp? Will you need some type of special equipment that you need to bring. If so, make sure you leave room for it when you are packing. Most camps are within a reasonable distance to a shop from which these types of items can easily be replenished. So you usually only need enough of these to last the first couple of weeks, if packing space is at a premium. If you stuff your suitcase or duffle with these items, you’ll be in good shape for your first summer at camp. If you’re concerned that you don’t have room in your luggage for all of these items, call your camp to see if staff members are permitted to ship items to camp. This entry was posted in Uncategorized and tagged American summer camps, camp counselor clothing, camp counselors, camp counselors supplies, camp laurel south, camp staff, camp staff supplies, packing for a summer at camp, preparing to work at camp, sleepaway camp, what to pack when you're working at summer camp on May 29, 2014 by Camp Laurel South. Who Works at Summer Camp? Spring is just around the corner and summer will be here before you know it, which makes now the time to start thinking about how you’re going to spend your summer. If you’re a college student, you could toil away as a server or cook at the local pizza joint or operate rides or peddle souvenirs at the local amusement or sports park. Interning in an office may even be an option you’re considering. And we all know the internships at Wall Street banks are now fewer and far between. But if you want summer employment that promises a summer full of fun and adventure while also helping you develop valuable lifelong skills that employers view favorably, consider working at summer camp. Just because your college days are behind you doesn’t mean that there isn’t a role at summer camp for you too, particularly if you are a teacher or high school or college athletics coach looking for a great way to supplement your income. In fact, the ages and backgrounds of the people who make up the typical summer camp staff are about as diverse as summer camps themselves. If you don’t think being a counselor is really your thing or you’re pretty sure you’ve aged out of that option, don’t sweat it. There are a multitude of positions besides counselors that summer camps must fill each summer. For starters, camps have offices and offices require personnel to run them. If answering the phone and administrative tasks are more to your liking, perhaps working in a summer camp office might be the ideal option for you. Additionally, camps need people to help with daily scheduling as well as planning and executing special activities during the evenings and on special days. 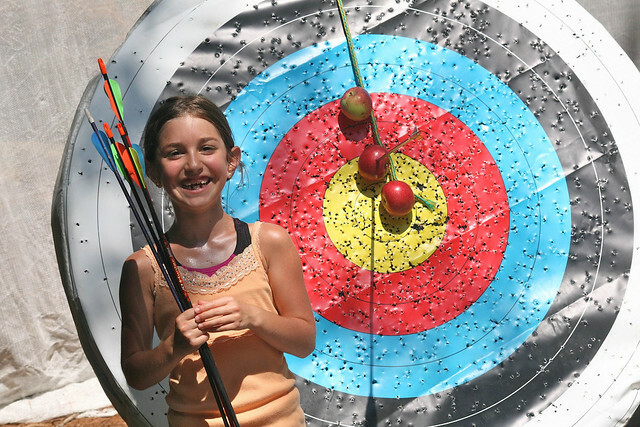 If you like the idea of spending time with children but are an athlete or hobbyist who would rather focus on your passion, summer camps hire specialists to teach skills in specific sports and hobbies to campers. If your passion is photography or videography, as the camp photographer responsible for capturing the fun every day, your role is one of the most integral at camp. In fact, if you can think of an activity, there is probably a staffing need for it at camp, and sometimes some of the hardest positions to fill are ones most people just don’t think of when they think of summer camp, such as creative writing, cooking, robotics, eco science, skateboarding, or magic. Although most hospitality positions such as food service, maintenance, and housekeeping are usually filled with international applicants, some camps hire domestic applicants as well, particularly for supervisory roles in these areas. If you are an international student who would love to earn some money by working in the U.S. before or after traveling, one of these summer camp roles may be the perfect option for you…as well as a lot of fun and a chance to make a lot of new friends from around the world! Camps also have a need to fill key roles that require more foundational knowledge and experience. Aside from campers, camps also need division heads or campus leaders, people who lead a specific age group and supervise all of the counselors within that group. Although many camps fill all or most of their head roles from within, using individuals who have several years of successful camp experience because they require a more intricate knowledge of summer camp, occasionally they will search outside of camp, typically for teachers or other professionals who work with children. Camps also hire program or activity heads, usually college coaches and current or former professionals in their area of expertise, such as soccer, baseball, basketball, gymnastics, etc. However, since almost all activities require people to run them, those with interest and expertise in hobby or arts related programs can often find a summer home at camp in areas such as arts and crafts, dance, theater, etc. Those who manage offices, act as campus administrators, or arrange transportation are typically individuals with some type of related work experience as well. Most camps also employ camp moms or parent liaisons during the summer. These are individuals, often mothers themselves, who monitor the well being of younger campers to insure they are eating properly, staying well groomed, and having a fantastic summer. So who works at camp? Chances are someone like you! If you’d like a summer job in which you can work among a diverse group of people from all over the world, make lifetime friends, be challenged everyday, and have the time of your life, apply now to one of America’s Finest Summer Camps! This entry was posted in Uncategorized and tagged America's finest summer camps, American summer camps, camp counselor jobs, camp counselors, camp laurel south, camp staff, summer camp, summer camp employment, summer camp jobs, summer camp work, summer employment, summer jobs, working at summer camp on February 27, 2012 by Camp Laurel South. Lots of Fun During Staff Orientation! Staff Orientation has been amazing and the weather has been spectacular. With counselors now assigned to cabins, we are focused on learning all about our wonderful campers, learning the Laurel South culture, readying the cabins and program areas and bonding as a cohesive unit. Camp looks great. In fact, the only thing that could make it look better is the faces of 400 campers arriving this Thursday!!! We can’t wait to see you! This entry was posted in Uncategorized and tagged American summer camps, camp counselor, camp counselor skills, camp counselors, camp laurel south, camp news, camp staff, camp staff training, counselor skills, Laurel South News, summer camp 2011, summer camp staff, summer job, summer jobs on June 21, 2011 by Camp Laurel South. Look at the horizon. What do you see? Camp! The big day is near. Soon, your child leaves home for a summer of fun, excitement and growth. Sure. New experiences usually are. But we’ve got some ideas to help. Talk with your child. And we mean “talk honestly.” It’s great to chirp about the wonderful days ahead. But be sure to acknowledge that fears and worries are okay. They’re normal.. Let your son or daughter know that everyone – even you! – gets nervous before doing something different. Remind your child that directors, campus leaders, counselors and staff members know about nerves – and they’ll be there to talk, day or night. Prepare together. Read the packing list with your child. Go shopping with him or her. Your child will pick out items he or she really likes – while at the same time sharing a quiet, unhurried conversation about camp. Reinforce camp policies on things like cell phones. You may want to give your child a phone to call home “just in case” — but that’s the wrong “call.” For one thing, it contradicts what you’re saying about the counselors’ and directors’ ability to help. For another, it encourages “bending the rules.” For a third, it shifts your child’s focus from having fun and making new friends, to sneaking off and being alone. Don’t let your own anxieties affect your child. As a parent, you may feel trepidation too. You’ll miss your child – and fear you’ll miss out on his or her growth. That’s natural. But don’t burden your kid with those thoughts. Tell your spouse and friends instead! Camp is a time of independence. Of spreading wings. Of making new friends, forming strong bonds and creating vivid memories in a non-family, out-of-school environment. The days leading up to camp may be anxious – for campers and their parents. But the rewards will be well worth a week or two of very normal nerves. We can’t wait to see your son or daughter at camp!!! This entry was posted in Uncategorized and tagged benefits of camp, building character, camp community, camp counselors, camp laurel south, camps for kids, education at summer camp, four-week summer camp, lessons at summer camp, life at summer camp, New Experiences, prepare for summer camp, ready for summer camp, summer camp, summer camp as education on June 9, 2011 by Camp Laurel South. Our hardworking Pre-Camp Staff has continued their great work. Each day, Laurel South looks better and better!! Last night, we all headed to Windham for a well- deserved night out for pizza and a movie. In just a few days, we will welcome our Adventure and Equestrian Staff for their training sessions. 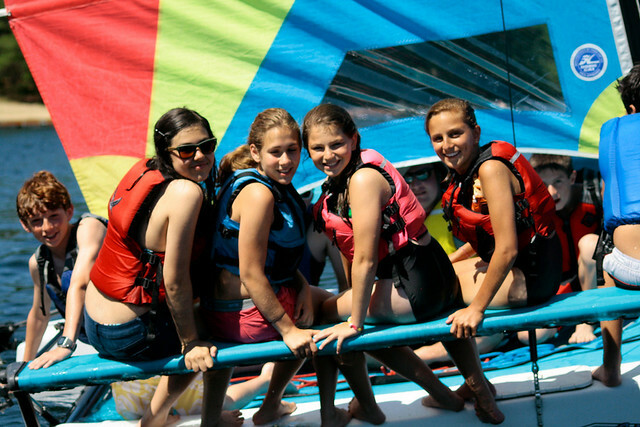 As we see camp shaping up, it only heightens our anticipation for the start of the 2011 season, when the entire Laurel South family will be reunited on the beautiful shores of Crescent Lake! We can’t wait to see everyone soon. This entry was posted in Uncategorized and tagged American summer camps, camp counselor, camp counselor skills, camp counselors, camp staff, camp staff training, Laurel South News, life at summer camp, Pre Camp, prepare for summer camp, summer camp 2011, summer camp activities, summer jobs on June 7, 2011 by Camp Laurel South. Get ready to build your resume! Working as a camp counselor at a summer camp will provide you with some invaluable experience that will serve you well far beyond this summer. Many HR Managers in lots of different fields find summer camp experience very impressive because of the level of dedication and commitment required. Summer Camp also demonstrates that you can adapt well to new cultures, which is essential for success in many corporate environments. In fact, many corporate executives were once campers and/or camp counselors themselves. If you’re an education major, it goes without saying that experience working directly with children is a huge plus on a new teacher’s resume. One final warning: As a summer camp counselor, you will act goofy, dress funny, and find yourself doing all sorts of crazy things you’d probably never ordinarily do…and you’ll have a blast while doing them. It’s what summer camp is all about. But what other job can you get where being an expert in painting faces, making signs, inventing outrageous costumes, and acting silly are all just part of your typical workday? So there you have it! A few suggestions for preparing yourself for a great and successful summer. Have fun! This entry was posted in Uncategorized and tagged American summer camps, camp counselor, camp counselors, camp staff, camp staff training, preparing for a summer camp job, summer camp 2011, summer camp job, summer camp jobs, summer camp staff, summer job on May 20, 2011 by Camp Laurel South.